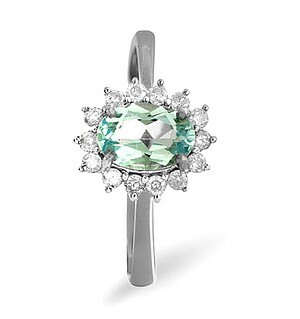 Item E5782 - An elegant Blue Topaz Ring for £339.00 in 9K White Gold. 0.21CT of Premium Quality Diamonds. Gem size is 7x5mm.Free UK delivery and a 5 year guarantee.